Peter started out as a creative director and loves to dive into a variety of cultures when behind the lens as a director. His commercials are a seamless blend of surreal action, observational humour and photographic composition, but never loses sight of the human touch. His style is individual and innovative. Perfect storytelling combined with great casting are the key elements in his work. He has shot for agencies such as BETC Paris, Herezie Paris, BBDO San Francisco, BBDO Shanghai, DDB Copenhagen, Leo Burnett Amsterdam, Saatchi & Saatchi Brussels, Publicis Brussels, Jung von Matt Hamburg, Leo Grabarz Hamburg, Scholz & Friends Berlin, Ogilvy Frankfurt, Leagas Delaney Prague, Kolle Rebbe, Philipp und Keuntje Hamburg and more. His work is multi-awarded, including EPICA Paris, Golden Award, New York Festivals, Golden Award Montreux, Grand Prix at ERMIS AWARDS, Caples Award New York, ADC Germany and 8 of his commercials have been featured on SHOTS 2016. Peter was ranked N°1 director worldwide according to Best Ads On TV 2015 he has been ranked N°1 German director in Lürzer's Archive. 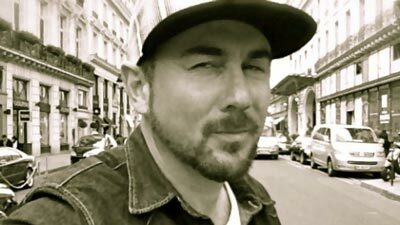 Peter co-curated two exhibitions about soccer influenced art and shot a related shortfilm which has been aired in Swedish TV, MTV Spain and Italy. It has been screened on the EXPO 2010 and in the same year it won an award at new media shorts in Shenzen, China. His talent has kept him busy shooting spots for iconic brands like Ford, Skoda, Mercedes, Renault, Volkswagen, Vodafone, Orange, Panasonic, Sony, T-Mobile, Nivea, Renault, Bosch, Burger King, Mars, Snickers, Mexx, Flamingo Casino, Vichy and Mc Donald’s.